I think this 70s recipe was probably devised by someone who had a large crop of rhubarb growing in their backyard and was trying to find a way to use it all. Mum wasn’t as creative with Dad’s produce she just stewed it with some sugar and served it with custard – Dad loved it that way. 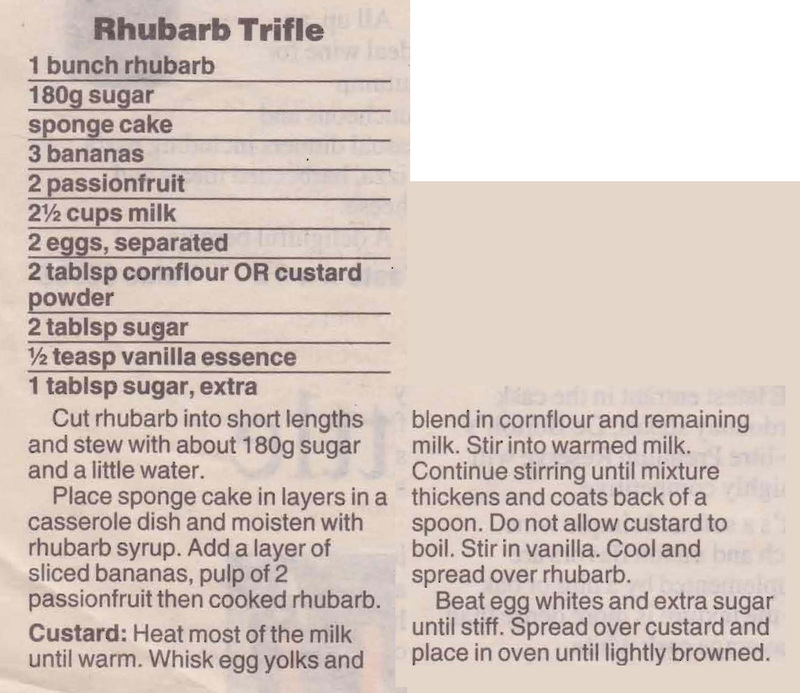 This entry was posted in All Recipes, Desserts and tagged 1970s, bananas, passionfruit, rhubarb trifle, rhubard, sponge cake by bebsrecipes. Bookmark the permalink.